NASA's Cassini spacecraft takes a moment to look back at Earth and capture the view from afar. Earth shines between Saturn's rings. When we look up and see planets from Earth, they appear as pinpoints of light. NASA's Cassini spacecraft peered between the rings of Saturn, gazed back at its home planet and captured a poignant image of Earth from 870 million miles (1.4 billion kilometers) away. 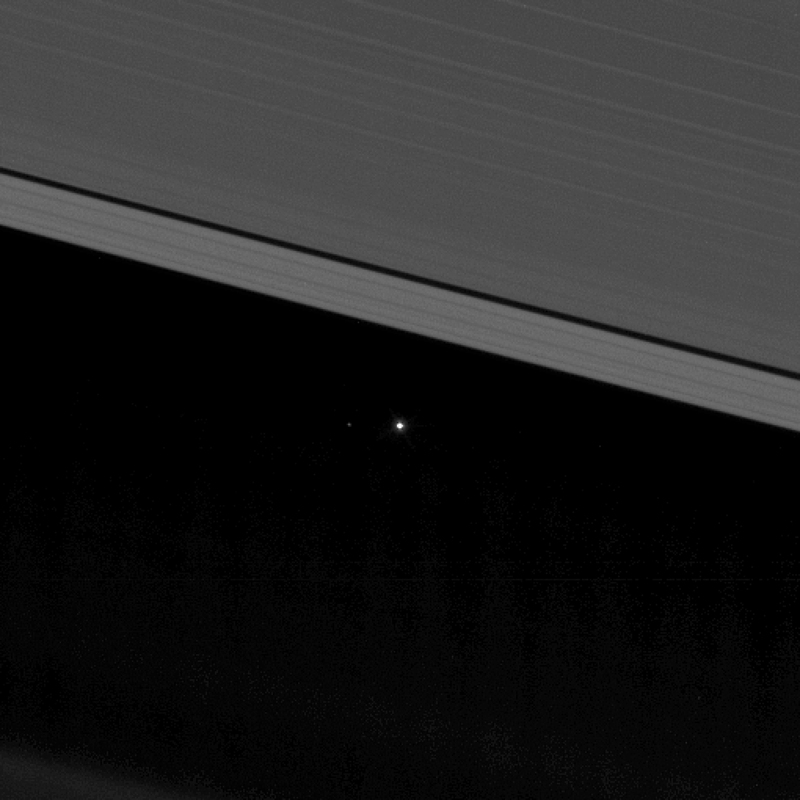 From that distance, Earth appears as a glowing dot standing out in the darkness. Cassini snapped the image on April 12. "Although far too small to be visible in the image, the part of Earth facing Cassini at the time was the southern Atlantic Ocean," NASA says. The space agency also released a closer-up, cropped version of the photo in which the moon is visible as a fainter speck of light. We have to enjoy these new Cassini images while we can. The spacecraft is destined to destroy itself in Saturn's atmosphere later this year after a productive mission spent studying the ringed planet and its many moons. Cassini, a joint project from NASA, the European Space Agency and the Italian Space Agency, launched back in 1997. Its unique perspective on our solar system will be missed.